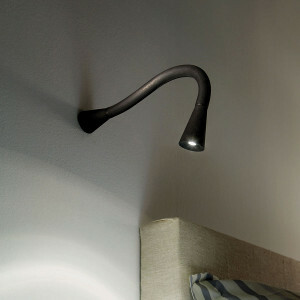 Adjustable LED wall lamp, ideal for lighting bedside tables or desks, available in black and white versions. The frame is made of lacquered metal, decorated in white or black rubber. The driver is included. No integrated switch. 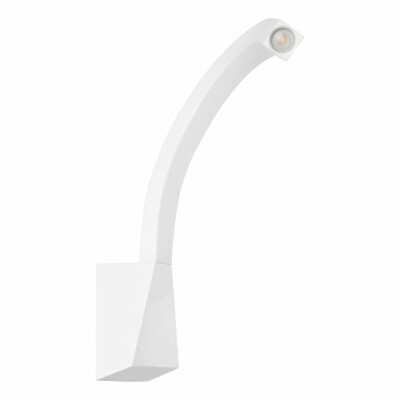 For the bedside lighting the lamp Snake is the ideal: a modern applique available in white or black painted metal. The lamp body is made of rubber. The driver is included. On/Off button-switch integrated into the lamp body. 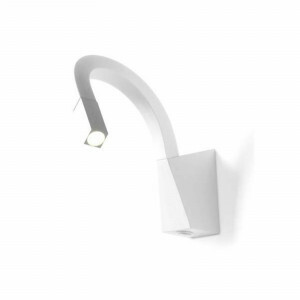 LED ceiling lamp, to lighing a precise area without sacrificing elegance and design. Available in two colors: black and white. Metal lacquered support and white or black rubber cover. The driver is not included and can be purchased separately. No On/Off button-switch integrated. 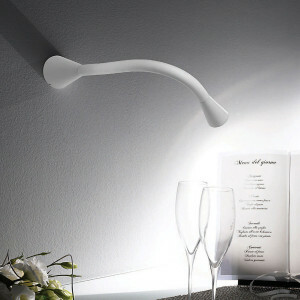 Wall lamp S, Snake collection, original design. 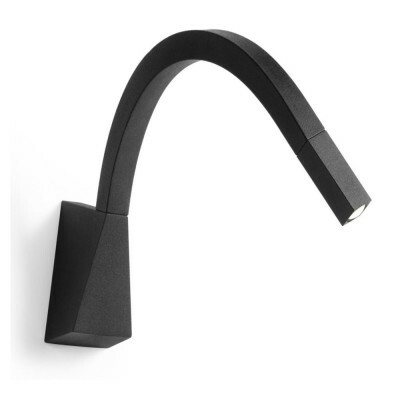 Adjustable lenght of 42cm, available in black or white. Rubber decoration and metal frame in white or black laquered finish. The driver is not included and can be purchased separately. No On/Off switch integrated. 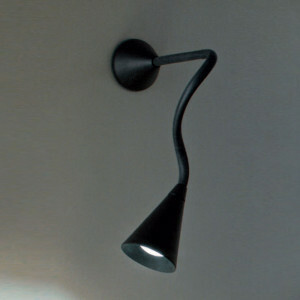 Wall lamp Snakem, modern design reading lamp. 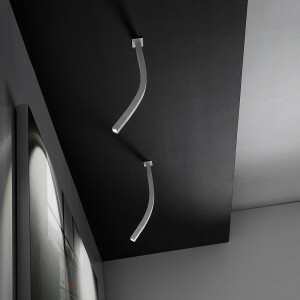 Adjustable lenght of 42,8cm, available in two different colours: white or black. Rubber decoration and metal frame in white or black laquered finish. The driver is included. No On/Off button-switch integrated. 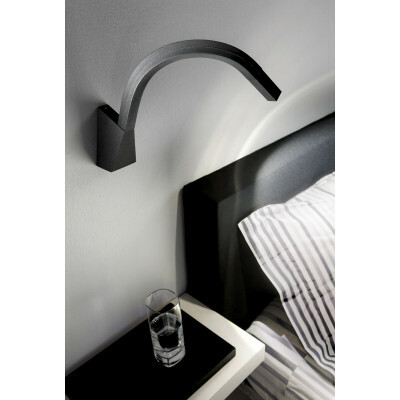 The adjustable lamp Snake is suitable for the lighting of the bedside: a sinuous applique led with metal frame and rubber body. Energy saving thanks to the class A++. The driver is included. On/Off button-switch integrated into the lamp body. 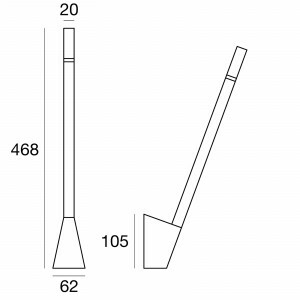 Lamp of modern style with slim-line (the stem measures 212 cm in length). The base is made of painted metal, the stem is matt santoprene, the diffuser is in frosted polycarbonate. 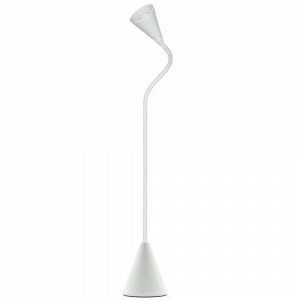 Modern style dimmable lamp for wall or ceiling with elongated stem. The base is in painted metal, the stem is in matt santoprene, the diffuser is in frosted polycarbonate.